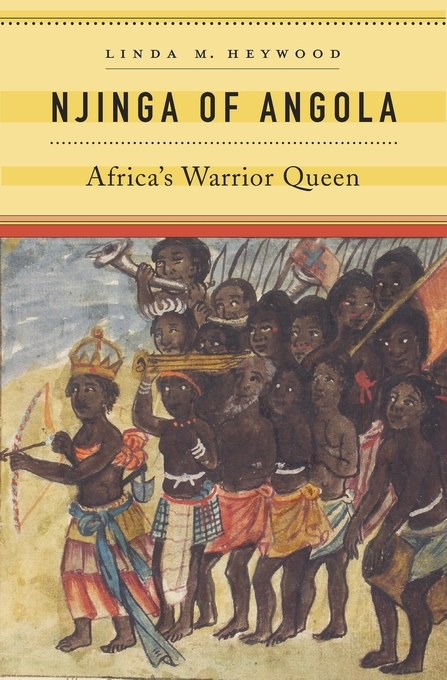 Though largely unknown in the Western world, the seventeenth-century African queen Njinga was one of the most multifaceted rulers in history, a woman who rivaled Elizabeth I and Catherine the Great in political cunning and military prowess. Linda Heywood offers the first full-length study in English of Queen Njinga’s long life and political influence, revealing how this Cleopatra of central Africa skillfully navigated—and ultimately transcended—the ruthless, male-dominated power struggles of her time. In 1626, after being deposed by the Portuguese, she transformed herself into a prolific slave trader and ferocious military leader, waging wars against the Portuguese colonizers and their African allies. Surviving multiple attempts to kill her, Njinga conquered the neighboring state of Matamba and ruled as queen of Ndongo-Matamba. At the height of her reign in the 1640s Njinga ruled almost one-quarter of modern-day northern Angola. Toward the end of her life, weary of war, she made peace with Portugal and converted to Christianity, though her devotion to the new faith was questioned.